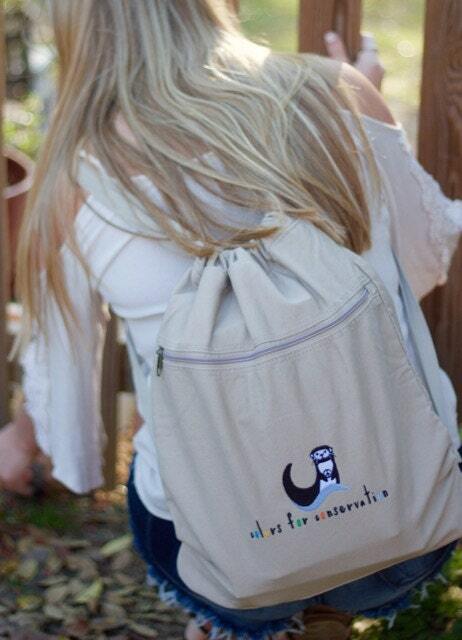 A 100% cotton canvas, Authentic Pigment, back pack/cinch sack that will hold all of your important things on the go! Custom Embroidered "Colors for Conservation" logo on the front. The bag measures 14 ½ inches wide by 17 ½ inches tall, with non-adjustable cotton webbing straps. There is one large main compartment and a front zippered pocket. 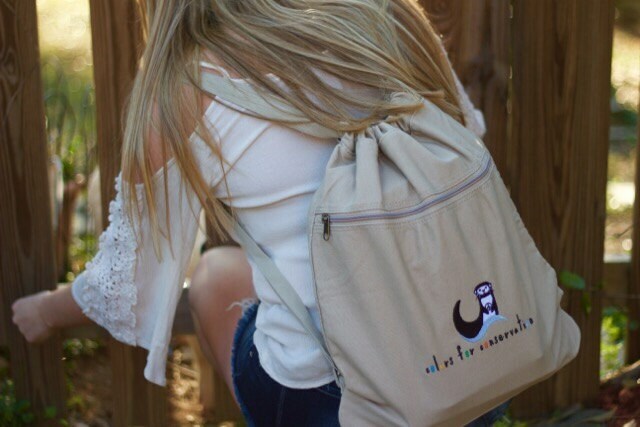 A great bag for carrying school books or anything you may need for a day hike. Just the right size for your laptop too!